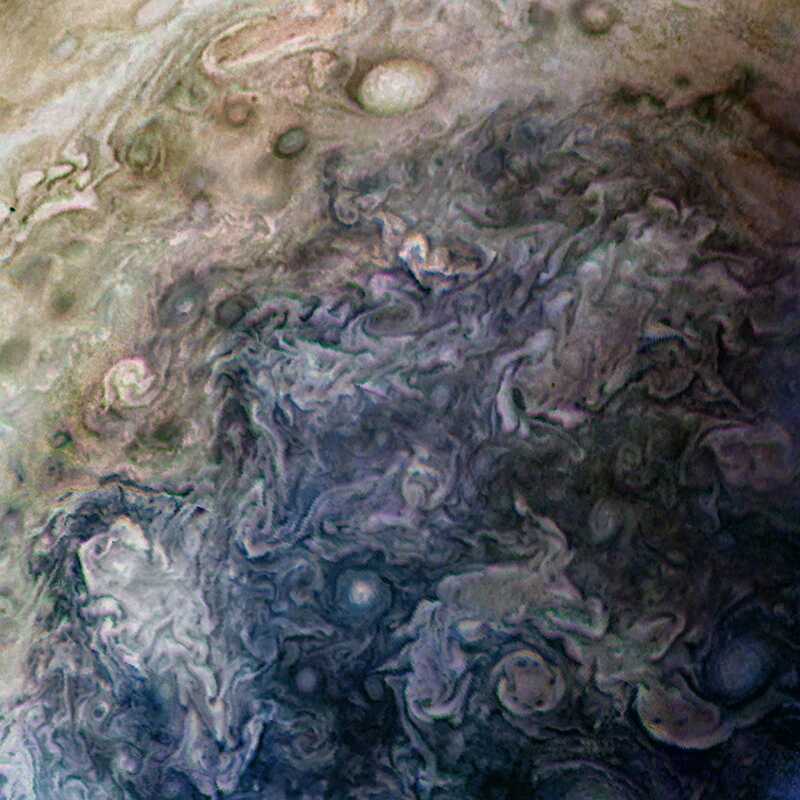 A probe the size of a basketball court has taken unprecedented new images of Jupiter. NASA's $1 billion Juno spacecraft, launched in August 2011, took five years to reach and settle into orbit around the gas giant, which is more than 415 million miles from Earth. 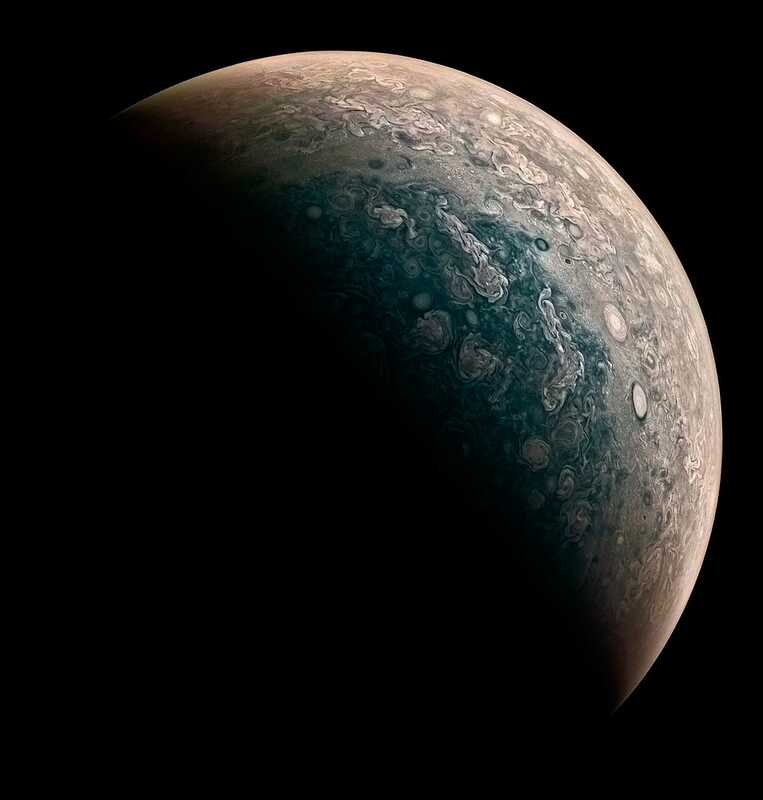 The probe has so far photographed Jupiter's poles for the first time, detected bizarre cloud formations, recorded mysterious auroras, and scanned deep into the planet's thick cloud tops. Juno repeatedly swings by Jupiter in a wide arc to minimize time inside the planet's intense radiation belts, which can damage sensitive electronics. NASA planned to fire Juno's thrusters in October to increase the frequency of these flybys — from once every 53.5 days to every two weeks — but sticky engine valves botched that operation. So instead the maneuvers happen about once every two months. Amateur astronomers have also been redeveloping older Juno images. 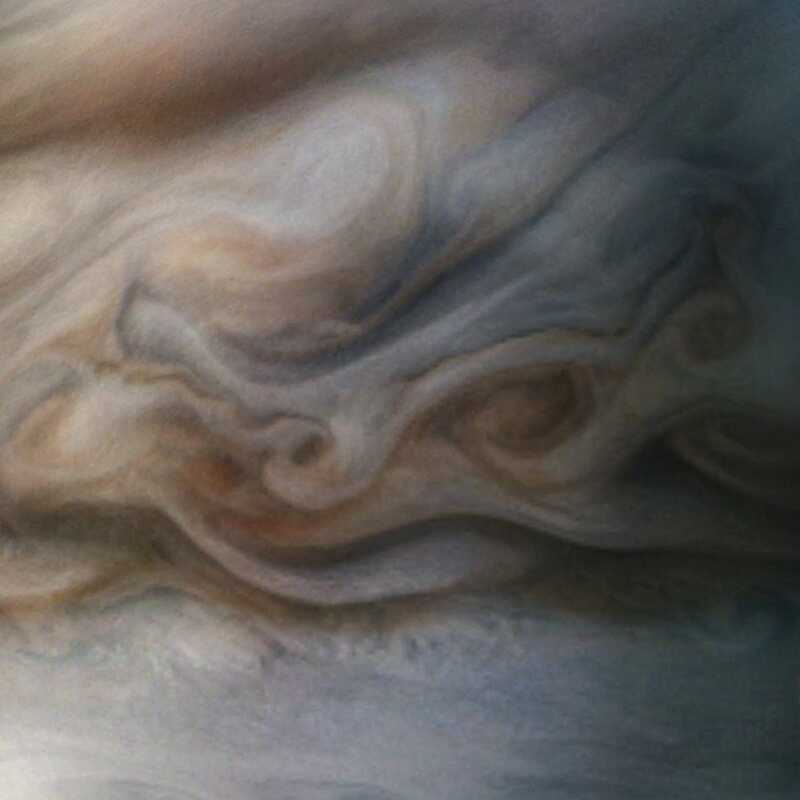 These Jovian cloud-top images all came from the probe's fourth flyby, on February 2.